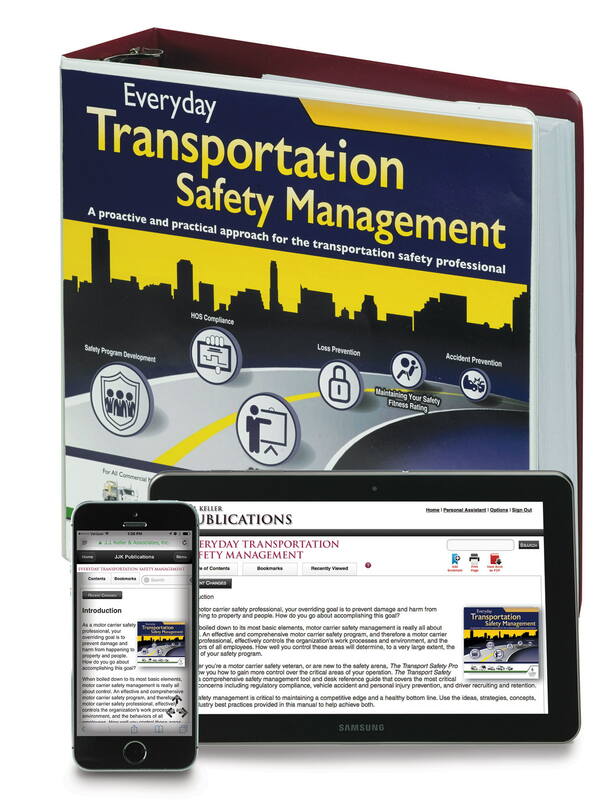 Neenah, WI - J. J. Keller & Associates, Inc., the nation’s leading provider of safety and regulatory compliance solutions, has introduced Everyday Transportation Safety Management: A Proactive and Practical Approach for the Transportation Safety Professional. The publication serves as a single source to help transportation safety professionals comply with complex and ever-changing DOT regulations, foster a safety culture, and protect a company’s bottom line. It includes callouts to draw attention to critical aspects of the regulations, as well as best practices and actionable content for structuring and maintaining transportation safety programs. The major topics in Everyday Transportation Safety Management reflect common challenges in maintaining a safe, efficient, compliant operation: safety responsibilities, safety compliance management, maintaining a safety fitness rating, risk management and loss prevention, and safety training. It also addresses employee retention and involvement. 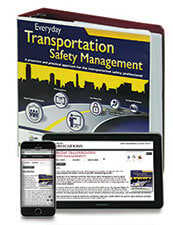 Everyday Transportation Safety Management is also available in an online edition that provides access to the content from anywhere, using a web browser and mobile device. An update service is available to ensure that transportation safety professionals can stay current with any changes to DOT regulations.